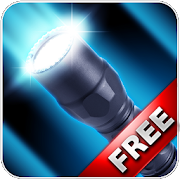 Mobile Flashlight PRO is a very useful application that turns any phone or tablet into a flashlight. Now you can have a flashlight always with you! The application has a very fast startup time LED flash, immediately emits a bright light! In addition, it is equipped with many useful effects of light and battery level indicator. The application interface impresses with high-quality graphics applied. The application looks very professional and it is also very fast, easy and intuitive to use.